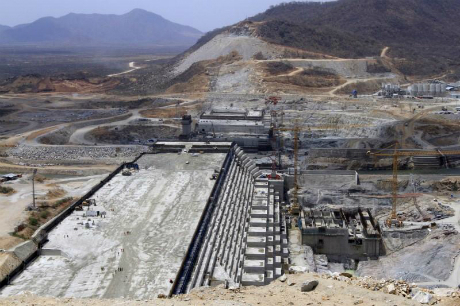 The Grand Ethiopian Renaissance Dam Manager Kifle Horo said in a recent interview with the Ethiopian News Agency (ENA) that the GERD will be filled in agreement with Egypt and Sudan. Speaking about the latest tripartite consultations between Egypt, Ethiopia, and Sudan, Horo said that the filling of the reservoir is related to the energy production of the dam and that it will be filled in agreement and accordance with downstream countries, ENA reported. Regarding the information provided by some media about the collapse of the project and that it is located in an earthquake zone, Horo said that "the construction was done following many studies, and the region has not experienced an earthquake before." “Water for us is like oil and resources God has given us, and we do not want harm to our brothers and friends, and they know that right," he was reported as saying. For the past three years, Egypt and Ethiopia have been at odds over the construction of the $4 billion hydroelectric dam, which Cairo fears will threaten its Nile water supply. Ethiopia hopes to become Africa’s biggest exporter of electric power with the dam, which is set to be the continent’s largest. Addis Ababa denies that the structure will reduce Egypt’s access to water. The project manager said in December that the dam is expected to be completed in 2022. Construction was launched in April 2011 and was initially expected to be completed in 2017. However, the construction was delayed due to change in design, which led to the increase of its generation capacity.